A senior Central Bank official claimed that the non-bank finance institutions (NBFIs) has been operated according to shareholders or ‘shadow directors’ mandate, while weakening the role of the compliance function, the board of directors and senior management. “We all know that most of the finance companies were initiated through family owned businesses and therefore, the larger public element included in soliciting deposits from the public appears to have been disregarded when evaluating every failures what we experience today. Regulatory requirements appears to have been misinterpreted to run its business and explored every possible means to deviate its spirit and to limit to the mere technicalities,” Central Bank Assistant Governor J.P.R. Karunaratne said recently. Delivering the keynote address at the Compliance Symposium organised by Finance Houses Association of Sri Lanka, he stressed that these concerns have resulted in losing the public confidence over the entire NBFI sector and resulted several regulatory resolution measures to resurrect such failed companies, which is costly and time-consuming task to be done by the regulator through legal suits. He said that most of the financial institution has focused more on its profitability and forgetting risk management framework, which has been testified through financial surveys where majority of Directors are not focusing on risk management. “Some of them are not aware of whether there is a risk management framework in their governing institutions, while some expressed the view that they are not very sure about it. They are not expected to understand every nuance of every line of business of a financial institution or to oversee every transaction, but they are required to oversee the risk management framework and establishing an effective monitoring mechanism. Compliance officer’s role links with such responsibilities in that monitoring part. 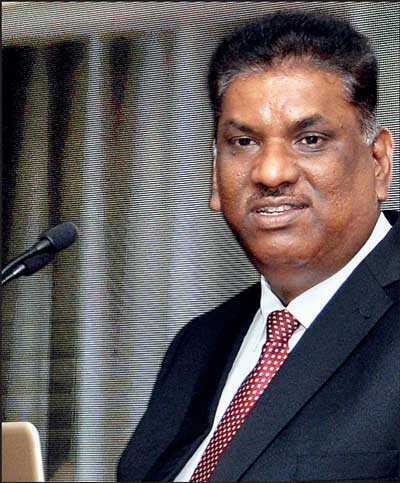 Otherwise, directors, senior management and assurance functions of a finance company will have to act accustom to shareholders’ mandate,” Karunaratne pointed out. He also noted that making compensation to the depositors of such companies through Deposit Insurance scheme pursuant to such actions, which is also from good money collected from properly governed financial institutions again is a matter which embedded with public element. Apart from governance framework, the Assistant Governor said they have also observed that non-compliances are mainly rising from failures of internal controls. “Risk management cannot be effectively carried out if we don’t focus on internal controls. Frauds, operational loss events, misappropriation of depositors’ funds are resulting from failures of proper assessment on internal controls and adequacy. Therefore when a company is getting larger, the internal controls are also to be improved,” he added. Karunaratne said compliance in Sri Lankan context appears to be an uninteresting topic and is restricted to Boardroom discussions with it being considered as a cost rather than a necessity. “Compliance is an essential precondition for every NBFI that are dealing with public money. It is the second line of defence of an entity in identifying and escalating risks in the business. Compliance shall be treated not as a risk or a cost factor to an organisation in maximising their profit targets, but as a watchdog who will prevent unnecessary risks that would affect the very survival of such entity,” he emphasised. Highlighting that the regulator cannot play the assurance function of all NBFIs, he asserted that it was the duty of the financial institutions to take proactive measures to ensure that the company is largely in line with the regulatory requirements. “We cannot be expected to review all your financial transactions, all business decisions and evaluate the same from a regulatory perspective. We cannot teach the Board and the management how to take such decisions, it is the compliance officers’ role to facilitate the business decision makers to arrive at informed decisions. Thus, we as regulators view that compliance works more as a lubricant which oils the business machinery and keeps it going. In this journey, we regulators and your institutions should have one common goal which is to build a strong financial system,” he stressed.